OMGOMGOMG GOG Gets Star Wars Rebellion (and Others)! Spacing Out: Unlearning What I’ve Poorly Learned? Greetings from Brasil. Finally, after 10 years a New Hope… opss, chance to play this gem. Y U NO like rogue squadron 3d? Is good game. I like your username, but I must disagree. 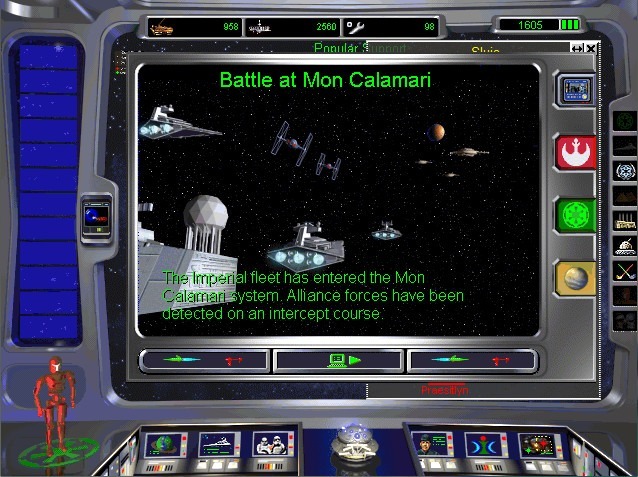 Until GoG releases the definitive edition, the DOS CDs, of both TIE Fighter and X-Wing, piracy shall still be superior. That said, I bought the _shit_ out of the GoG editions. Pretty much had to, really. Sigh, as loathe as I am of piracy, I can’t completely disagree as yeah, the CD-ROM DOS versions are really the pinnacle of the whole shebang.